This week I also have something finished to share with you. 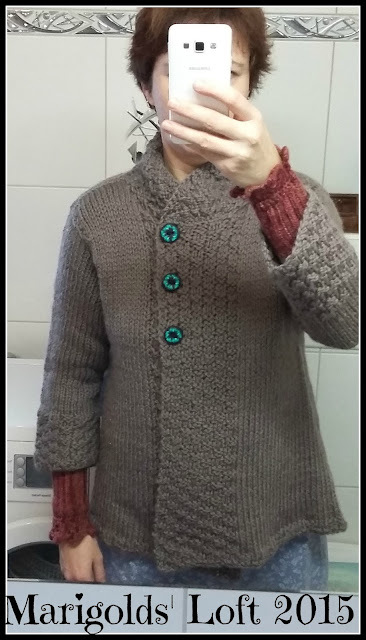 I have managed to complete my Silver Haze Cardigan! 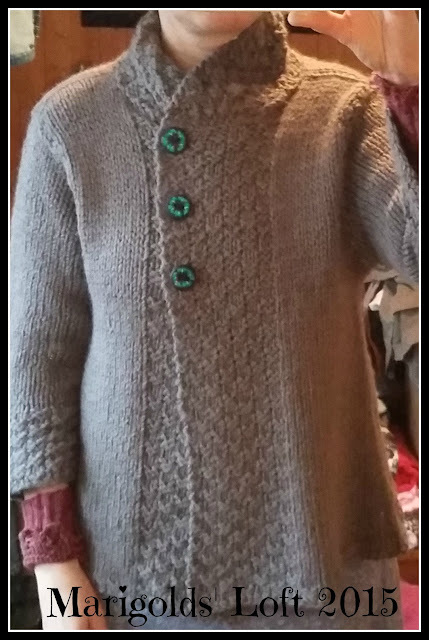 I knit the project in Drops Andes and love how squishy it is after it's first wash. I decided that I would make my own buttons for this project and I like the way they turned out. 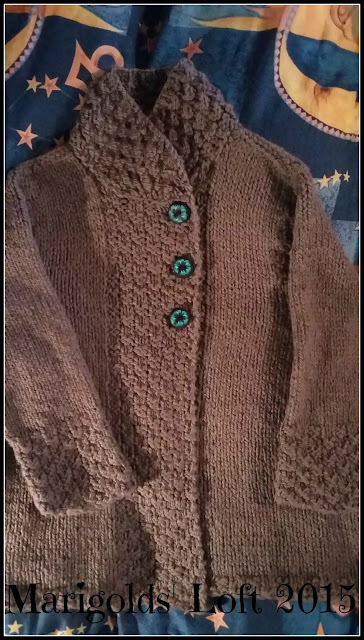 I guess I could have made them a colour that would have been closer to that of the cardigan, but somehow I really like how they stand out on the FO. 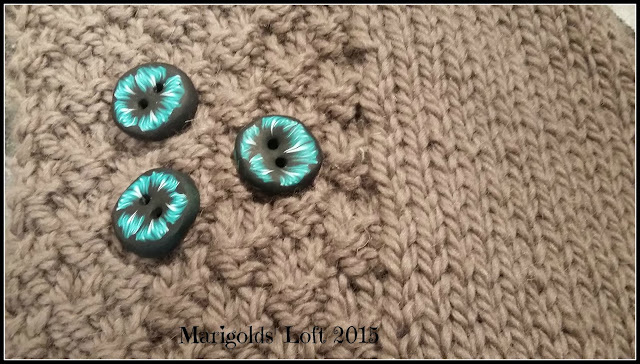 Feel free to link up your finished objects for the week below. Thank you for your wonderful Christmas wishes.